Just a quick thank you to all ManipalBlog.com bloggers and also you the reader, for the phenomenal growth of ManipalBlog.com this year!! These are just the external analytic numbers!! 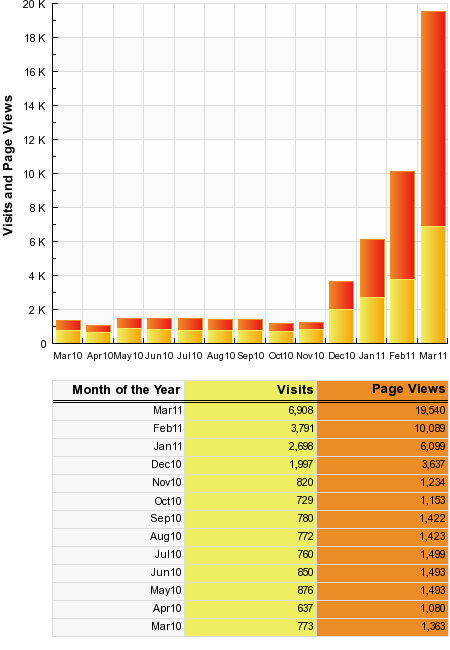 Google Analytics puts the number of hits at well over 35,000 this month!! Please continue supporting us and look out for exciting competitions and giveaways in the future! !